Our most popular item! This American Apparel zip-up sweatshirt comes in a variety of colors and is the perfect way to represent your Fraternity or Sorority in comfort and style. 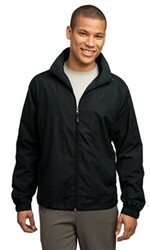 Comes standard with 4” twill on Medium sizes and up and 3” on Small and XS. This custom high quality sweatshirt is guaranteed to last so you can wear your chapter’s Greek Letters with pride for years to come. Port Authority® Essential Jacket. J305 from Company Casuals on Vimeo. *All vertically oriented three letter combinations will be produced with three-inch letters regardless of size due to limitations with the garment. Provide your own sweatshirt and add Greek Letters! We’ll customize it for you and send it right back. Add to your Greek Apparel collection and represent your Fraternity or Sorority in comfort and style. Comes standard with 4” twill on Medium and larger, and 3” on S and XS. The custom high quality embroidery is guaranteed to last so you can wear your chapter’s Greek Letters with pride for years to come. NOTE Black thread is matched to The North Face Logo color, which can be a very dark grey. Port Authority® Heather Microfleece Full-Zip Jacket.F235 from Company Casuals on Vimeo. Port Authority® Ladies Heather Microfleece Full-Zip Jacket. L235 from Company Casuals on Vimeo.